Maybelline Lip Studio Color Blur :: This beauty has a cream matte pencil with vivid color on one end and a blurring smudger on the other. This allows you to create your unique look from full on bold to softly blurred. The cream matte pencil feels extremely smooth and comfortable on lips. But if you want to achieve the softly blurred look, apply color in the center of your top and bottom lips. Using the smudger, gently blur the color out towards the edges of your top lip and then bottom lip. The swatch above shows the Berry Misbehaved shade. Maybelline Eye Studio Lasting Drama Waterproof Gel Pencil :: Get up to 16 hours of wear for all-day intensity. I love how smooth it goes on! Looking for a very pigmented liner? This is it. High intensity pigments and translucent gel base for a super easy glide. It is also smudge-resistant and waterproof for non-stop drama. I tried the Lustrous Sapphire shade. 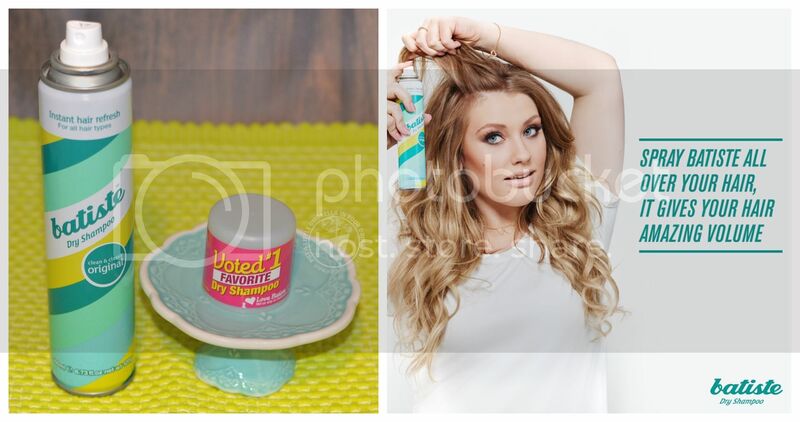 Batiste Dry Shampoo :: This stuff is amazing! I have used dry shampoo before, but this is my fave. I tried Original which has a clean and classic fragrance. Use it to refresh your hair between washes, leaving it feeling clean and fresh! Not only that, it also adds body and texture. No water required! My hair is so long and thick that washing it daily is nearly impossible. Even every other day can be stretched out with Batiste! You can actually make every day a fabulous hair day. 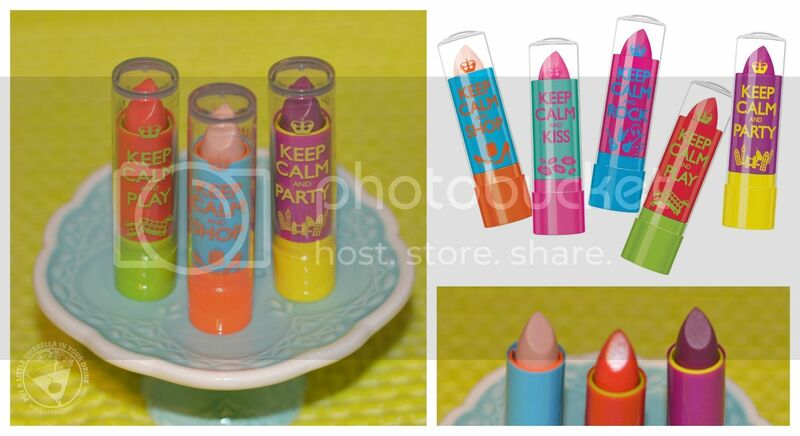 Rimmel London Keep Calm Lip Balm :: Keep Calm Lip Balms are not only adorably cheeky, they are also moisturizing! The enriched formula with moisturizing oils will calm, soften and protect lips for hours. Think of them as a nourishing balm with a fresh hint of a tint for an alluring just-bitten effect. I didn't get much color out of them, just a tint. But they do make your lips nice and soft! 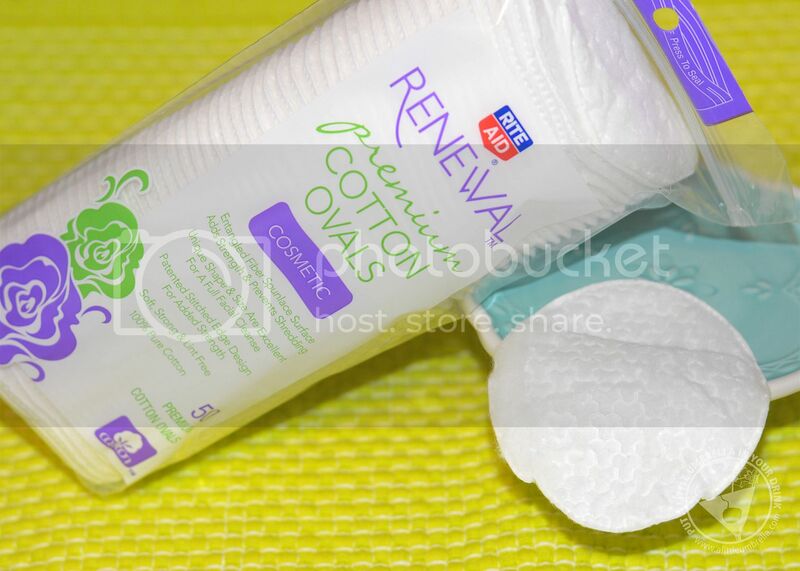 Rite Aid Renewal Premium Cotton Ovals :: Get head-to-toe cosmetic use with premium Rite Aid Renewal Cotton Ovals. 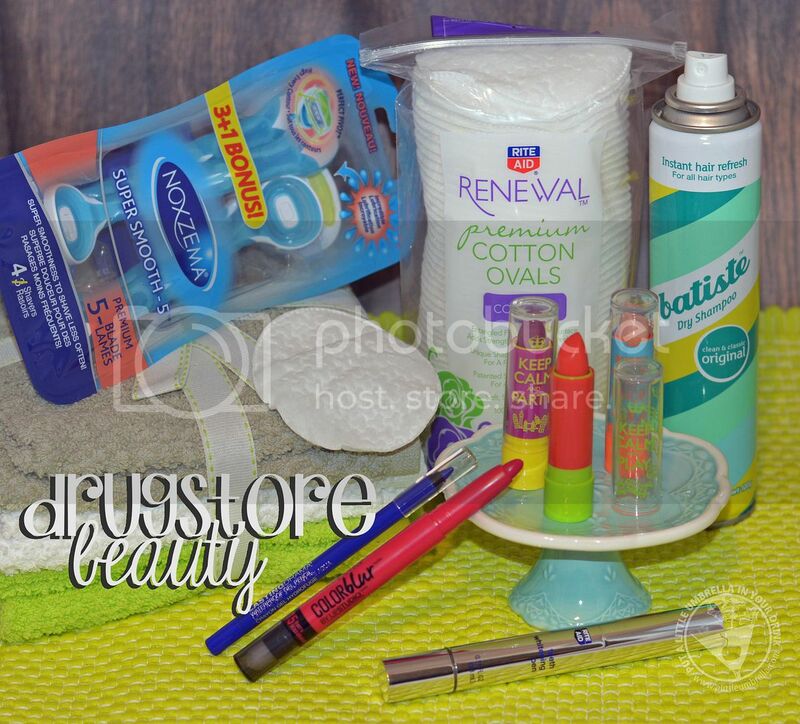 Each package contains 50 cotton ovals that are perfect for nail care, skin care, and so much more. The fleece spunlace surface provides a lint free nail polish remover. They’re also great for skin care with an embossed pattern that provides gentle facial care. They are so soft! The ovals are strong enough for applying toners, moisturizers and powders, but soft and gentle enough to use on your baby. I love using these to apply toner as well as remove eye makeup. 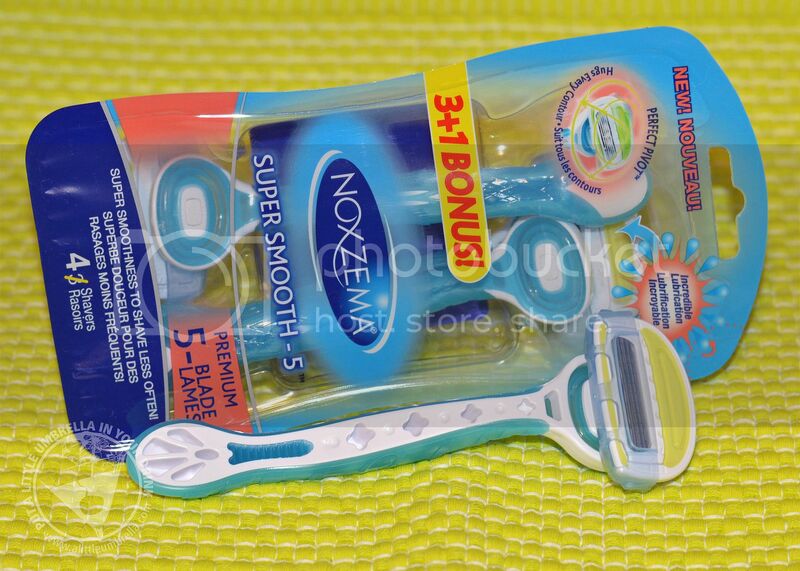 Noxzema Perfect Pivot 5-Blade Razors :: These 5-blade razors have a pivoting head that rotates full-circle. That means you can rotate left, right, up and down for a close shave. It even adjusts to your most delicate curves. The water activated aloe-rich moisture strips allow for an effortless glide. Rite Aid Teeth Whitening Pen :: This teeth whitening pen is specifically designed for on-the-go use. 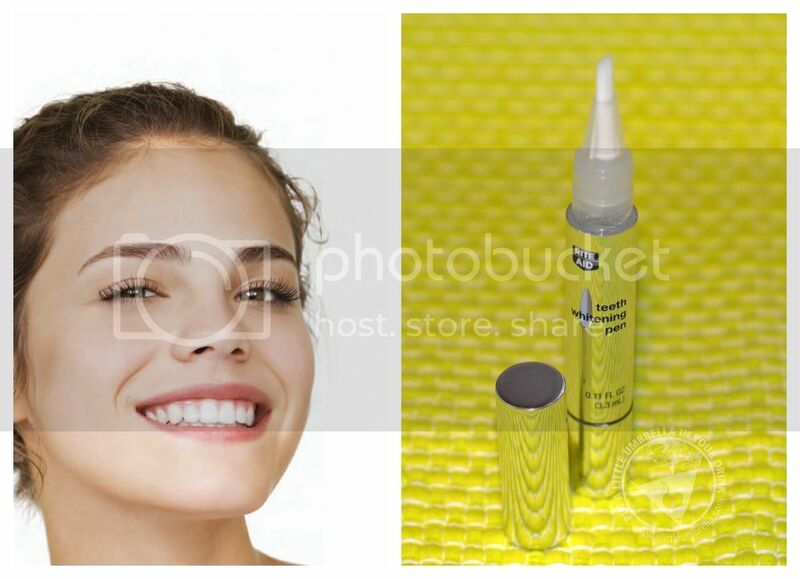 It is easy to use anywhere and it can get your teeth noticeably whiter in 1 to 2 weeks. To use, just twist the cap at the bottom until a drop of gel appears. Apply a layer to upper teeth and allow to dry for 30 seconds. Repeat with bottom teeth. The recommended use is three times a day. Some whitening products I have used in the past made my teeth very sensitive. I have not found this whitening pen to have that effect as long as I only apply the thin layer as instructed.